Our most popular horse hair. An easy to work with, reliable hair. Unbleached natural white Mongolian stallion showing excellent strength. A select quality horse hair hand picked for equal length, strength and color. A strong, somewhat coarser hair than the white stallion, for cello and bass bows. This hair has met our strength tests and measures from 0.15mm through 0.22mm in diameter. A grey and white mix for cello and bass bows. Natural black horse hair for cello and bass bows. Hanks for violin, viola, cello and bass wrapped in individual packages and sealed for long-term storage. A selection of hard to find tools for the bow shop. With over 40 years of experience in the music industry, bowhair.com is your worldwide source for quality bow hair. We are committed to providing the finest hair to our customers across the seven continents. Our recommended brand, the Sterling Silver Brand, is made up of only the best hair and has the highest ranking on our in-house testing facility. We offer a range of horse hair brands, each with its own excellent properties. See our newest line of professional bow hair. 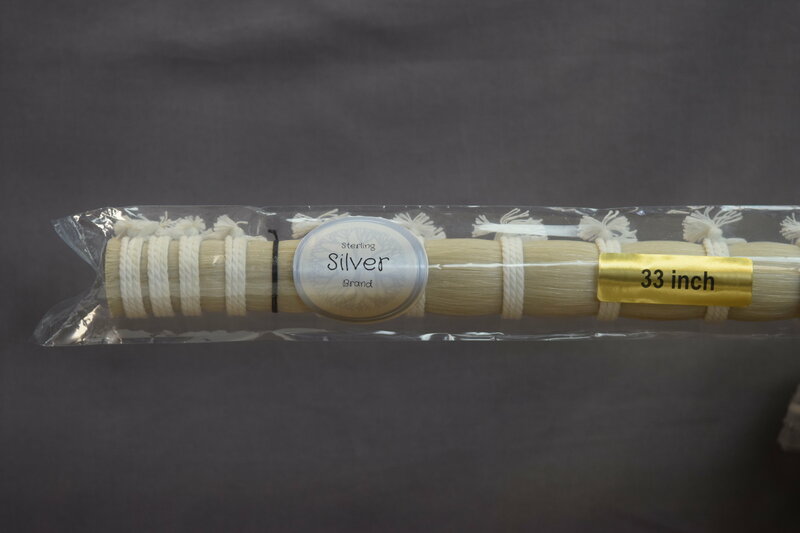 The Sterling Silver Brand horse hair is sorted for strong hairs with a bright natural white color. This is a first class hair, strong, with a natural affinity for rosin. Suitable for use in the professional violin shop for violin, viola and cello rehairs. New: 'Grade A Thick White' horse hair. A high quality natural white horse hair with a thickness range of 0.15mm to 0.22mm. This hair is suitable for rehairing bass bows. How we test our hair. Using our very own horse hair analyzer we can test the strength and elasticity of the hair we sell. Using an airtight chamber we can also simulate environmental conditions such as humidity and altitude. We run each test at a different humidity to observe how the hair reacts and preforms. Our aim is to provide only the best horse hair. View the video to see exactly how we test each brand of hair. We love to hear from you! Have a question about a product or how to order? Send us an email or give us a call. Keep up to date with new products and offers through our social media accounts. Have a question? Send us an email and we will be happy to help. Our strongest Siberian horse hair. Superb elasticity and strength that gives you a crisp natural white ribbon of hair that looks great on the bow. Perfect for Violin, Viola and Cello bows. Shop our Sterling Silver Brand. Try the Premium Brand. An easy to work with horse hair that is strong and reliable. 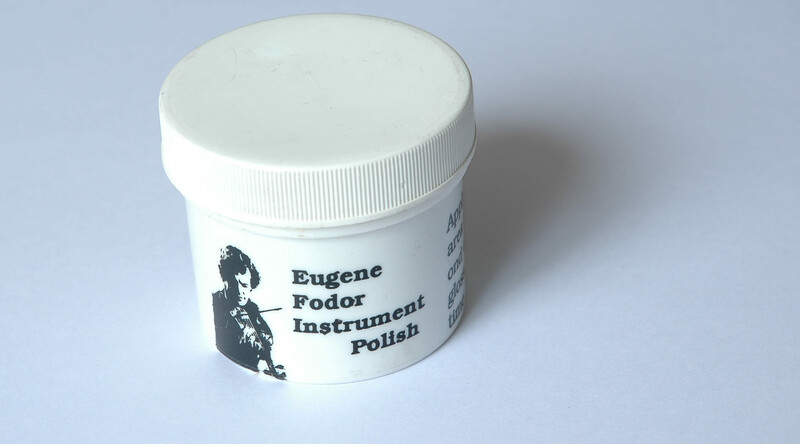 This fine polish can be found on benches in violin shops the world over. View our bow shop tools and supplies.